NYPD detective Ellie Hatcher is convinced the case is a suicide, but she knows from personal experience that a loving family can be the last to accept the truth. When the Whitmires use their power to force a criminal investigation, Ellie's resistance causes trouble for her both at work and in her personal life. As she is pressured to pursue a case she doesn't believe in, she is pulled into Julia's inner circle--an eclectic mix of overly precocious teenagers from Manhattan's most privileged families as well as street kids from Greenwich Village. But when the target of Julia's harassment continues to receive death threats, Ellie is forced to acknowledge that Julia may have learned the hard way that some secrets should never be told. 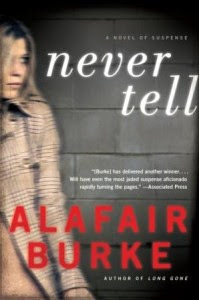 Never Tell is a complicated and intriguing tale where nothing is as it seems. Detective Ellie Hatcher is called to the scene of an apparent suicide. The victim is sixteen year-old Julia Whitmore, daughter of a Rock Star and a student at an exclusive prep school. Julia's parents are convinced that she would never attempt suicide, while Ellie--all to familiar with the denial of a family in pain--prepares to move on. She's soon called back in when one detail stands out, requiring closure. What Ellie assumes will be an open and shut case becomes increasingly complex when the mother of Julia's best friend begins receiving threats on her personal blog. Ellie believes that the incidents are connected and that her initial assumptions might just be wrong. Oh what a refreshing read! At its heart this is an intriguing mystery with enough unanswered questions to keep me guessing from beginning to end. While the suicide/murder question didn't excite me, the intricate web that resulted from it drew me in from beginning to end. Instead of trying to solve the mystery, I was quite content in sitting back and enjoying the ride. I loved that the mystery wasn't solved all at once in a quick wrap-up at the end. It was solved bit by bit with surprises at every turn of the page. 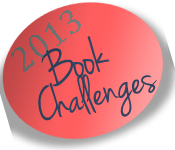 I was impressed with the character development where we learn the histories of the characters. Because of this I gained an interesting perspective on their lives and decisions. People are not who they seem. Overall, I found this to be a great mystery with a realistic feel and though-provoking characters. Definitely stands apart from many in the genre. I love it when a mystery can make me lose myself in it to the point where I'm not worried about solving it, but just enjoying the intermittent revelations. This one sounds like a worthwhile read. Glad you enjoyed it so much! It is. I really did. My reading has been such a roller coaster it feels like. Thanks! This is an author I would like to read. I'm glad to see how much you enjoyed this one! Thanks for being on the tour. I'm featuring your review on TLC's Facebook page today. This sounds so good. I enjoy reading mysteries once in a while. I think I've seen this one on my book browsing so I may have to give it a try. So glad you liked it! I don't read a lot of straight-up mysteries, but I find that I'm always guessing stuff ahead of time. It's nice to see this one is quite complex. I like guessing ahead of time as long as that's the intention of the author. But the complex ones intrigue me because they keep me on my toes. "While the suicide/murder question didn't excite me, the intricate web that resulted from it drew me in from beginning to end." I felt the same way about the suicide at the beginning...but then I got caught up in all the other events set in motion by this case and couldn't put it down. Great story! I also agree with you that Burke's Ellie Hatcher series is not like others in this genre...so much better! I agree. It really took me by surprise because I thought I had read it all. She did a fab-tastic job! I really enjoy Alafair's writing. I was first introduced to it in Angel's Point and upon reading your review I went straight to the author's site to check out her other mysteries. I love how she can twist a tale and keep the reader guessing!